Espresso is more than a morning affair. The strong black coffee partners well with whiskey and coffee liqueur. 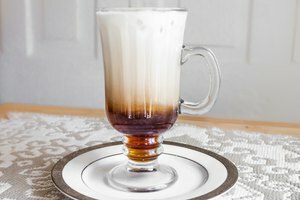 It also shines when mixed with vodka, tequila, gin, licor 43 or rum in both hot toddy-style drinks served in mugs or for cold cocktails in long-stemmed glasses. 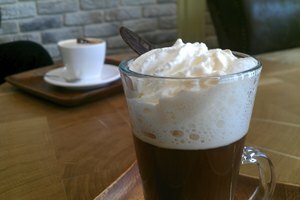 Espresso can bitter but a simple homemade syrup (boil equal parts sugar and water to avoid nasty additives and preservatives) or sweeteners such as stevia and panela sugar can help you fine tune the flavor to perfection. For a basic espresso martini, mix equal parts cold espresso and Kahlua with two parts vodka and 1/2 part syrup. Vary this basic theme by flavoring the drink with raspberry or dark cacao liqueurs or adding a splash of cream liqueur, flavored vodka or a shot of another spirit, such as cognac. If you're a fan of the hazelnut liqueur Frangelico, mix it with an equal part of vodka and 3/4 part cold espresso to make a truffle cocktail. Combine the flavors of a spiced latte with the kick of a margarita by stirring cream, sugar, spices such as cinnamon and cardamom, vanilla extract and tequila, into hot espresso. 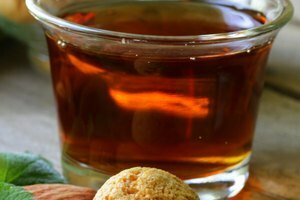 Give the drink a pumpkin spice twist by adding pumpkin spice syrup and pie spice. Opt for low-fat cream or soy milk to reduce the amount of calories and use stevia instead of sugar to keep those extra calories at bay. 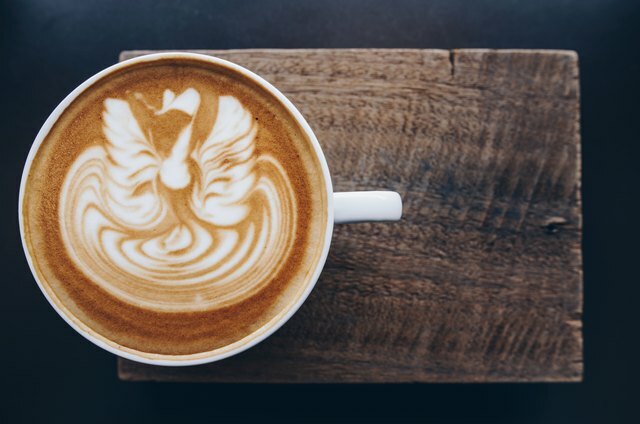 Make another hot tequila cocktail, the morning rooster, by stirring one part coffee liqueur and three parts tequila into a cup of freshly brewed espresso and flavor with vanilla extract, heavy cream and a sweetener such as agave nectar. Swap the heavy cream for soy or cashew milk to enjoy a dairy-free option. Combine equal parts simple syrup and freshly squeezed orange juice with two parts of espresso and three parts gin to make an espresso summer. Add slightly crushed ripe blackberries to the ice in a cocktail shaker when mixing the drink, strain, and serve garnished with fresh blackberries and an orange wedge. Mix the gin and strongly brewed espresso into a small amount of absinthe for a Bronx bomber. For a gin-based, English-style version of Irish coffee, stir London dry gin, triple sec and coffee liqueur into an espresso, adding sweetener, if desired. A.J. Rathbun, author of the cocktail cookbook Good Spirits suggests making chilled island coffee from espresso, dark rum, Kahlua, heavy cream and coffee liqueur. Use equal parts rum and Kahlua, two parts espresso and half a part each of cream and liqueur. Rum is also the basis for paradise found, a cocktail containing butterscotch schnapps along with espresso. For every 6 ounces of coffee, use equal parts schnapps and spiced rum. Serve the drink over ice, garnished with whipped cream. 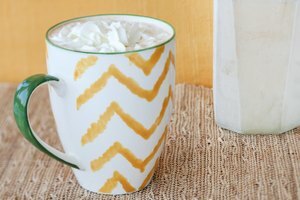 Skip the whipped cream to make the drink less calorie-rich.